Greg M. Wilbur, 50, of Dallas, died Wednesday, May 28. Funeral is Sunday, at 2pm at the Chapel of Winkenhofer Pine Ridge Funeral Home in Kennesaw. Burial will follow at Cheatham Hill Memorial Park in Marietta. Greg was preceded in death by a grandson – Gregory Richard and his dad – Tommy. Mr. Wilbur was the Owner of Wilbur’s Garage in Acworth and a friend to many. For the past 16 years, Greg was a member of Lost Mountain Church of God and was a former member of Calvary Baptist Church in Acworth. 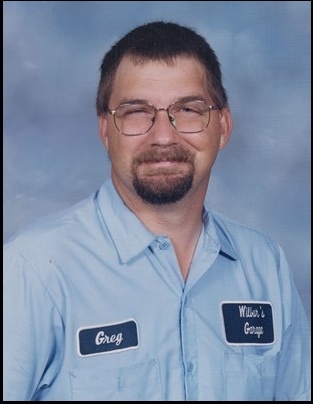 Growing up in the car repair business, Greg’s love of wreckers was evident along with his passion for his family. He was a loving husband, father, grandfather, son, brother, and friend to all who knew him. Those who survive Greg are his wife Tina Wilbur of Dallas, mom – Gwen Wilbur of New Hope, son – Brandon (Jami) Wilbur of Adairsville, daughters – Marley (Nathan) Pearson of Dallas, Olivia Wilbur of Dallas, and Mary Abbigail Wilbur of Dallas, grandchildren – Brenna and Rylan, sister – Tricia Floyd of Gainesville, and brother Jeff Wilbur of Dallas. Aunts, uncles, in laws, cousins, nieces and nephews also survive. Visiting hours at the funeral home are Friday 6-9pm and Saturday 9am-9pm. If you wish to make a donation in Greg’s memory, you may do so to either the American Cancer Society at P.O. Box 22718 Oklahoma City, OK 73123-1718, cancer.org or the National Brain Tumor Society at 55 Chapel Street suite 200 Newton, MA 02458 or braintumor.org.